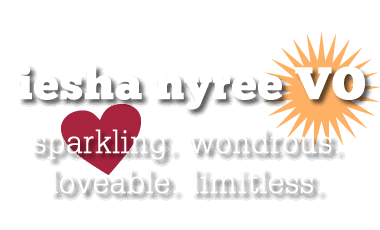 Mompreneur Life | Iesha Nyree VO | Sparkling. Wondrous. Loveable. Limitless. Over the weekend, I got to be a Soccer Mom and watch my DS do his favorite thing. I always say “I get to…” versus “I have to…” It’s a tiny change that has a huge impact. I do feel it is my privilege to be mom to these two kiddos. It took us a while to find each other. Plus, my job as voiceover talent allows me to be the best parent I can to them. Yes, I work weird hours and I have to market myself on the daily to get the projects coming in. On the flip-side I don’t have to worry constantly about how I will be able to find adequate child care that I can actually afford just to be able to work. That struggle is ROUGH. Even though they are in school, as a single mom I would still need a nanny or babysitter of some sort to work my old 50-60 hour work week. Someone to drop them off at school or before school. Someone to pick them up afterwards. And feed them dinner. And drive them to their activities and get them back home. Because I also need to take on an extra hour of travel to most places I’m driving locally because of traffic. These are really hard things for employers to be willing to work with me on. As every mom knows, it’s always a juggling act. Being single just means I also have to hula-hoop while doing it. I do it, though, and we make it work. The kids are starting to notice that there is much less stress in our tiny house. And it is more organized. There is also the added bonus of them actually SEEING me working hard and knowing that they are learning business skills for themselves, too so they are set up for success in the future. And that is just as satisfying as getting a check for a gig!